The first assignment in any profession is often the the most difficult and challenging seemingly. Add to it the fact that one is posted in an outlying rural sub-division and has no idea of how to go about dealing with people's expectations in such a remote and inaccessible corner of the state (if not country), and one feels one is doomed to fail miserably. With these innumerable apprehensions and the pain of being away from family and friends for quite some time to come, I decided to test my luck as the Sub-Divisional Magistrate in Agra's Fatehabad. With a rickety jeep to take me around and a dusty country road winding through endless row of farmsteads, I embarked upon my journey to begin the first chapter of my professional life. The irony of the situation however remains the awe it evoked whenever my parents would mention Fatehabad. To the minds of common people and millions of tourists across the world, Fatehabad meant the eponymous Fatehabad Road which houses some of the best and the most luxurious hotels in this part of the world. How were I to explain that beyond that 10 km of urban fringe, a completely different world awaits to tell a story only a minuscule fraction of people come to know of. I still remember that Tuesday of 18th August, 2009. While the journey seemed to be a trial of sorts with the clouds of dust billowing in from the sides and the risks of driving on a country road where numerous modes of transport ply according to their own timetable the only thing I remembered was when the driver swerved the vehicle on a small arterial road outside the tiny township of Fatehabad and massive walls of a fort-like structure greeted us from a distance. I was super-excited to know about the existence of a historical fort in my sub-division. Only that the next moment, as the jeep entered through the magnificent front-gate of the fort was I made to realize that this very walled campus serves as the office of the Sub-Divisional Magistrate (SDM). And it not just serves as the office of revenue establishment (of which SDM is a part), but also that of Police, Judiciary, hundreds of advocates and to top it all, houses a Community Health Center too! 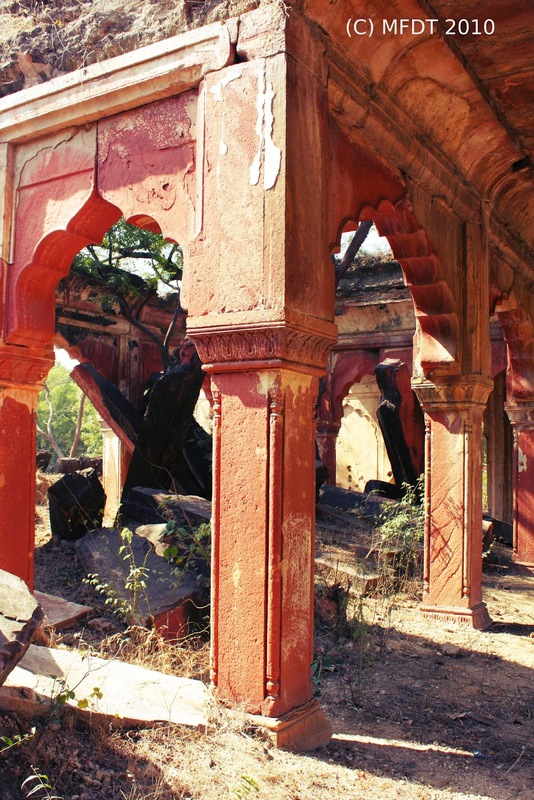 With my city-bred sensibilities and then little knowledge of the parameters which govern the protection and preservation of our heritage as per law, I expressed my outrage and disgust at the gross neglect and misuse to which the wonderful structure was being subjected to. Over the course of next few weeks, I had to dig deeper into the history of a place left forgotten in the middle of nowhere. Soon I learnt that it was here in May 1658 that Aurangzeb defeated his brother Dara Shikoh in the battle of Samugarh and usurped power from the Mughal Emperor Shahjehan. "For India, Samugarh was perhaps the most decisive military engagement that had ever been fought and lost. Far from settling a petty family dispute over a crown, the disaster presaged three hundred years of vital events: British conquest, the ultimate division of Pakistan and India, Hindu Moslem feuds, and endless bloodshed. Medieval Mughal splendor had ended; the so-called age of Akbar, with its liberal coalition of Moslem and Hindu, its fused nationalism in politics and art, was gone forever. Aurangzeb would see to that". 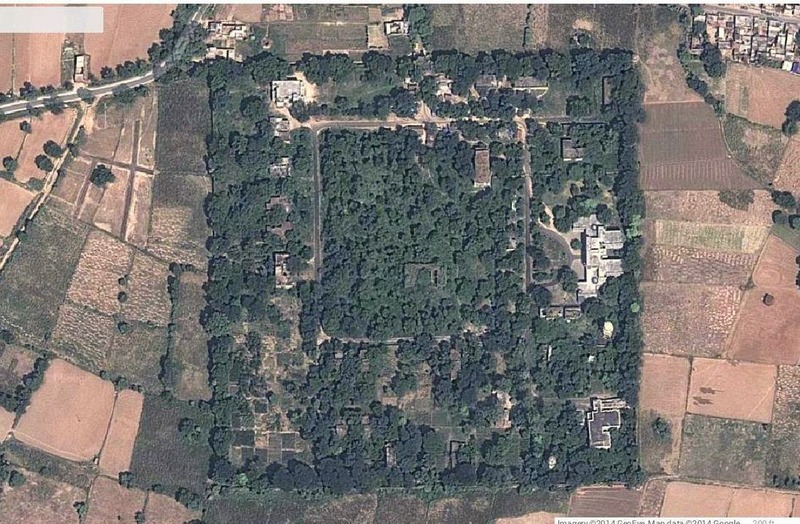 Even as we strived in our own little ways to preserve the structure and prevent further damage by increased activity inside the premises, when we downloaded a Google Earth satellite image to lend credence to our case, I was mesmerized by the perfect square of green which looked like an oasis in an area which is otherwise largely dry. Back then too, availability of water was a huge concern and was taken care of by the four wells which exist till date outside the four corners of the walled campus. There was also a beautiful pond with chhatris at a short distance from the fort and if not for the ever-expanding encroachments, it might be still existent. 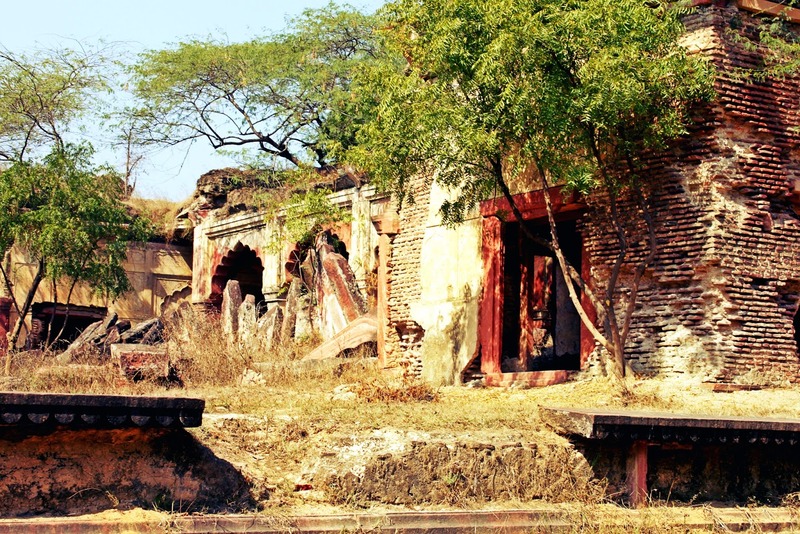 Even the residence where the Tehsildaar resided at a distance from the campus, was of Mughal vintage and had served as the stables of Maratha Daulat Rao Scindia for a couple of decades in the early 19th century. As a new entrant into service, I wrote an agitated email to to the senior members of the service seeking guidance about the possible avenues of conservation of the historical structure. Back then while a lot of members extended advice, INTACH and ASI expressed their helplessness in view of an almost non-existent tourist potential. While I got transferred in April 2010, I continued to harbor a hope for the revival of the place and made it a point to share the same with whoever might care to listen. Its been five years since I left the place and anybody ever mentioned Fatehabad again. Somewhere deep down inside, I too had reconciled with the current state of neglect of our heritage in most parts of the country. 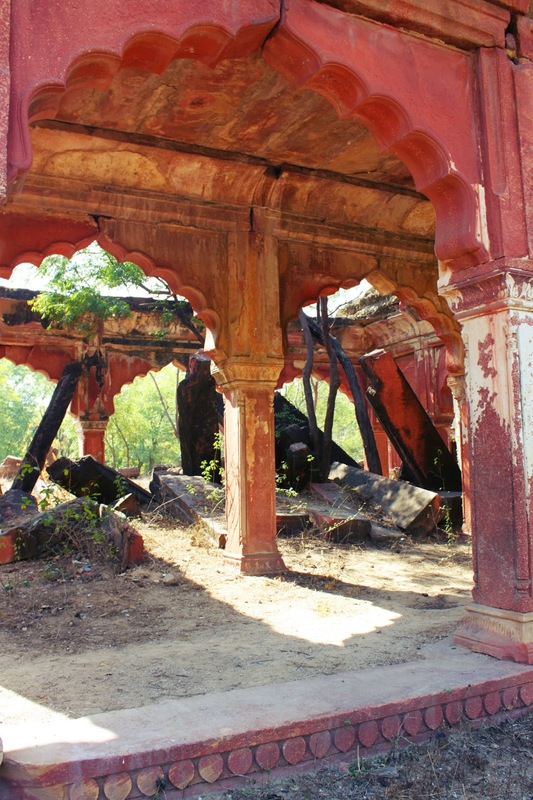 My stint in Bundelkhand had already bled my heart to the extent that I would shiver to visit a forgotten monument ever. Yet, on a completely unrelated visit to the office of my the then boss in Agra, on this fine morning of 4 September, 2014 here in Lucknow, he hands me a document enlisting the details of historical monuments in Uttar Pradesh, INTACH has decided to conserve in near future. 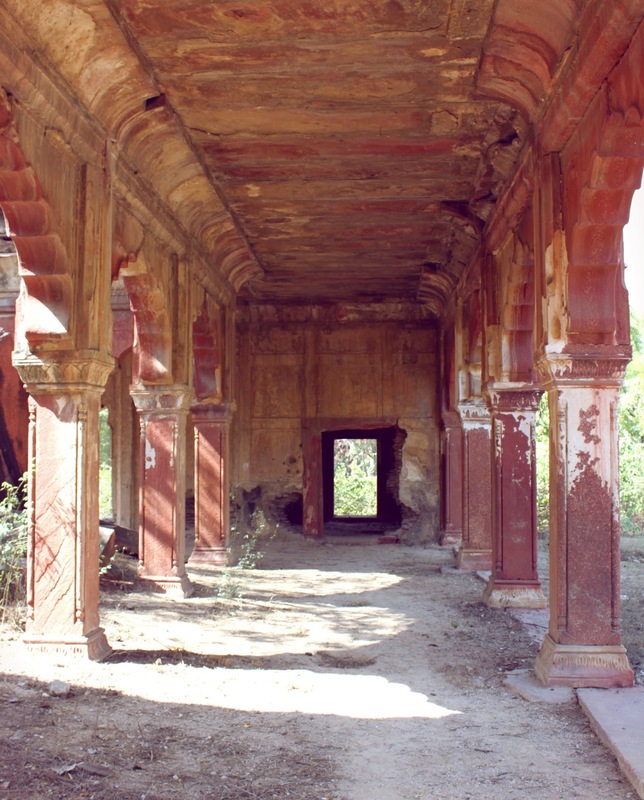 My heart skips a beat to find a mention of Badshahi Bagh, Fatehabad in the list and while it seemed to have been erased from mind and memory, I once again glimpsed the familiar pavilions of Badshahi Bagh. While my contribution to the chain of events might be non-existent altogether, the fact that somebody had decided to take notice of a magnificent ruin in the vast hinterlands of the city of Taj is heartening enough and felt like a personal achievement of sorts. While I believe in a magic which makes things move in this universe, was it just a coincidence that the news was shared with me by the same person who was just as churned up as I was back then in Agra in 2010?